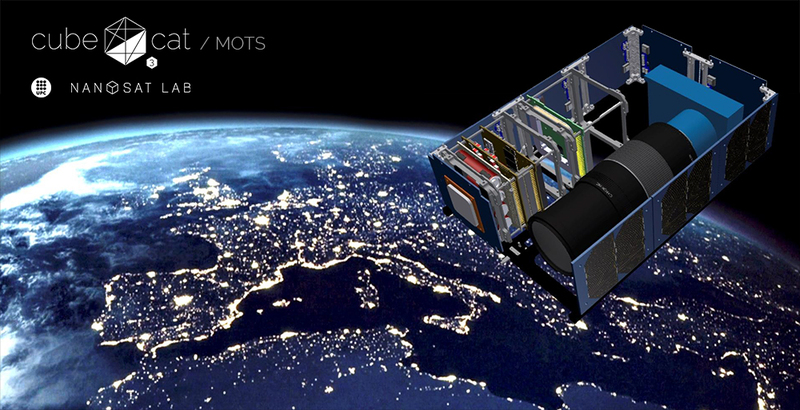 The ³Cat-3 (read “cube-cat-three”) MOTS is a study conducted for the Cartographic and Geologic Institute of Catalonia (ICGC) aimed at analyzing the feasibility of a small-satellite mission with a multispectral imaging payload. Apart from its low mass and volume, the ³Cat-3 development is expected to leverage on the small-satellite philosophy, and to push its cost and development time to the minimum thanks to the integration of standardized platforms and subsystems, developed at the NanoSat Lab. Mission status Phase A: preliminary analysis. Launcher details To Be Determined. Institut d’Estudis Espacials de Catalunya (IEEC). ARM Cortex A5 @ 500 MHz. UHF Half duplex. Uplink and downling @ 9600 bps. Expected average time gap 3 days or less. Expected revisit time 7 to 10 days.